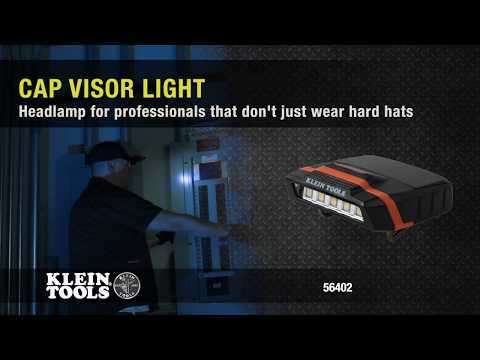 Klein Tools’ new Cap Visor Light allows you to easily add light to any hat or cap when you need light but don't want a traditional headlamp. The metal clip on Klein's new headlamp is contoured to fit securely onto the visor of your cap. Powered by two AAA batteries, this sturdy light also has a pivoting head to direct the bright, five LEDs right where you need them. Our new Cap Visor Lights are perfect when you need a light for your other work hat.